This two-door wardrobe is a complete package and satisfies all your needs and storage requirements. It has 4 shelves, two long shelves and two cubic shelves. The wardrobe also has a drawer with keys that keeps all your valuable items safe. The hanging rod gives ample space to keep all your delicate clothing of all styles and types. The wardrobe is made up of pre-laminated particleboard and MDF. The melamine finish adds to the beauty of this Zerlin wardrobe. 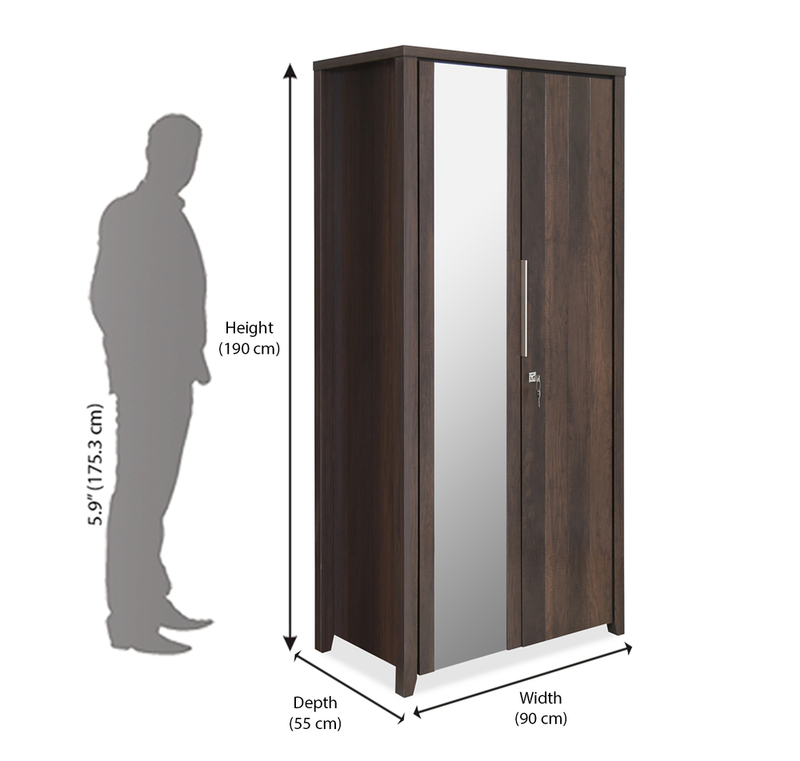 The dimensions of the wardrobe are 900 mm width, 500 mm depth and 1900 mm height. This product will blend with your bedroom décor perfectly, and you also don’t have to worry about it occupying too much of space. The sleek design makes sure your bedroom looks spacious. The left door of the wardrobe has a full-size mirror, which eliminates the need for a dresser. The doors also come with a locking system, which increases the safety value of the product. This wardrobe can also be used in your kids’ bedroom because of its simple look and spacious storage. The wood is of good quality which will keep your clothes safe from moths and other insects as well as moisture. Get this wardrobe online from @Home.